I developed a course in network security in the early 2000s, which we are able to offer every other year. A handful of my students have gone on to work or study in security related fields. I was asked by my third grade teacher to help other students with their math. It was really exciting to see the “light bulb” go on when they figured out how to do something. I guess that’s the underlying reason that I went into teaching mathematics and computer science. As I was finishing my doctorate degree, I was able to make a significant contribution to an open-source mathematical software project named GMP, which has since become a significant part of today’s computer and communication infrastructure. I think of myself as a guide on a learning safari. Since I’ve been there (to a subject) many times before, I’m excited to point out interesting things I’ve seen on past safaris to my students, but I’m also excited to see new things every time I go back. I love helping students turn on the light bulb. Kolenbrander-Harter Information Center (KHIC)—because it’s where I spend the most time. It’s a pretty comfortable building to teach and study in. I have never been at a school where the faculty members are more concerned with the welfare and success of their students. I believe that employers of our graduates value their ability to communicate clearly, cooperate with others and at the same time have a good handle on the technical parts of their work. 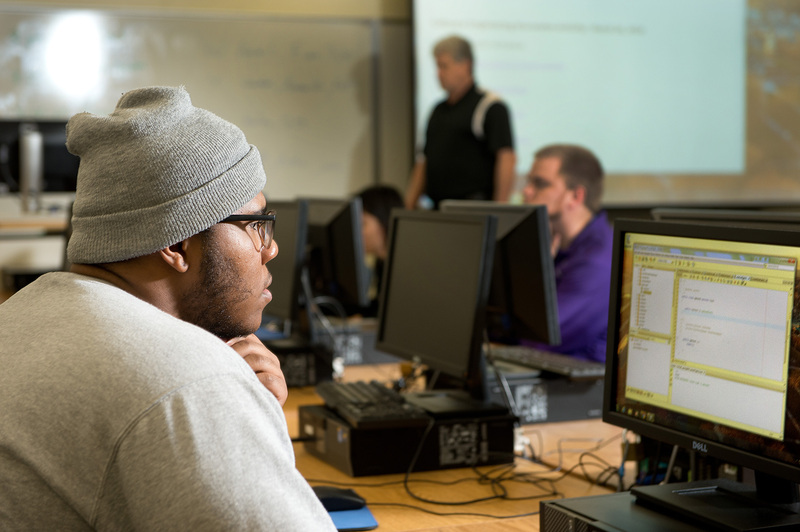 The Bachelor of Science degree in computer science from the University of Mount Union prepares students with the knowledge of software, hardware organization, operating systems, theory of computation, and principles of programming langauges.